C lients who enroll in the addiction recovery program at Scott Recovery gain access to the specific treatment they need to reach their goals. In order to be sure that we can offer the opportunity for successful recovery to as many clients as possible, we maintain a full stable of possible addiction recovery strategies from which we can choose. By determining which treatment strategies will get you the best possible shot at recovery, we can offer all of our clients the best possible recovery available for their personal circumstances. Our dedication to assisting our clients in achieving their goals is unparalleled. Because a one-size-fits-all plan for addiction recovery treatment is not as effectual as a customized strategy, we have plenty of different therapeutic available for our clients here at Scott Recovery. For some clients, the best option comes in the form of what we consider to be more traditional addiction recovery treatment strategies. These may include therapeutic support in the form of individual sessions, where you will meet with one of our knowledgeable counselors and get the opportunity to share any concerns you may have in complete confidence. We also provide regular group sessions, which will allow you to share your thoughts and experiences with your fellow clients. Along with traditional methods of addiction recovery support, we also have a variety of holistic treatment strategies available. This may include physical strategies such as yoga or hiking. In some instances, we may be able to provide clients with access to specialized treatment like horseback riding. Art and music therapy can help bolster the efficacy of addiction recovery for our clients, as well. No matter what specific treatment you need to reach recovery, we will strive to offer it to you at our drug rehab clinic. We want you to get the support you need. When you first arrive at our addiction recovery center, you may take part in supervised detoxification. At Scott Recovery, we recognize that the best possible chance at recovery comes when the client has been able to purge the remnants that may have been left behind due to substance abuse. By taking part in supervised detox, clients can enjoy the benefits of a clean system while also being confident that the supervision of our staff has offered them the chance to go through the process without undue concern about their personal wellbeing. 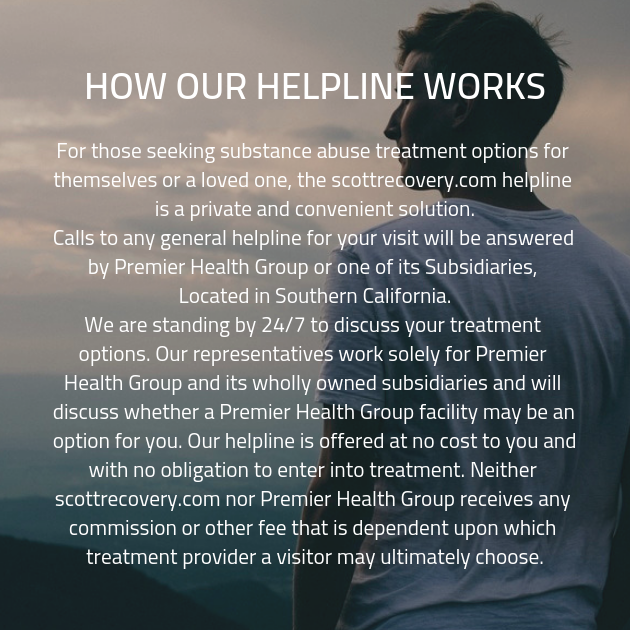 Whatever you need for addiction recovery, it’s available here at Scott Recovery. Nulla imperdiet sit amet magna. Vestibulum dapibus, mauris nec malesuada fames ac turpis velit, rhoncus eu, luctus et interdum adipiscing wisi. In ut metus laoreet, faucibus enim et, viverra nisl. Quisque sed bibendum mi. Praesent luctu. Venen atis aliquet. Quisque maximus justo quis lobortis molestie. Mauris vitae mollis orci. Aenean nibh lacus, tempor vel ipsum ut, ullamcorper pulvinar diam. Morbi sed accumsan quam. Aenean accumsan magna in purus placerat congue. Duis aliquam non ante euismod voluptas.